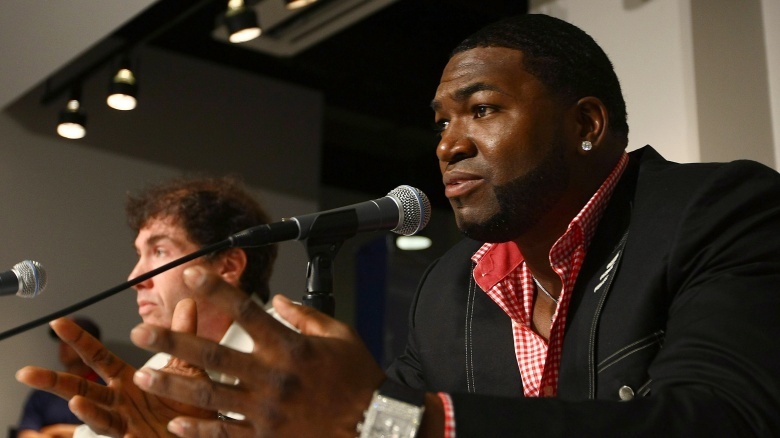 David Ortiz is one of the most recognizable figures in Major League Baseball. 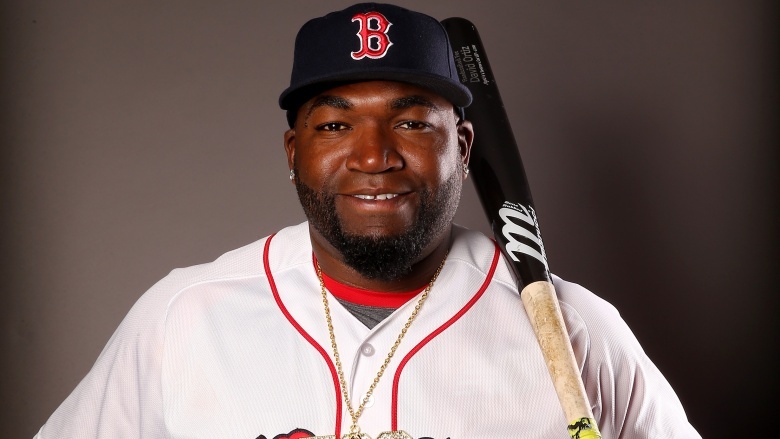 The face of the Boston Red Sox, Ortiz has led the formerly, infamously cursed team to three World Series championships. But with his retirement after the 2016 season, baseball fans should ask themselves how much they actually know about the real Big Papi. Did you know that he originally played under a different name? Or that he grew up idolizing the brother of one of his future teammates? Or that he was involved in a legal battle with Jay-Z? 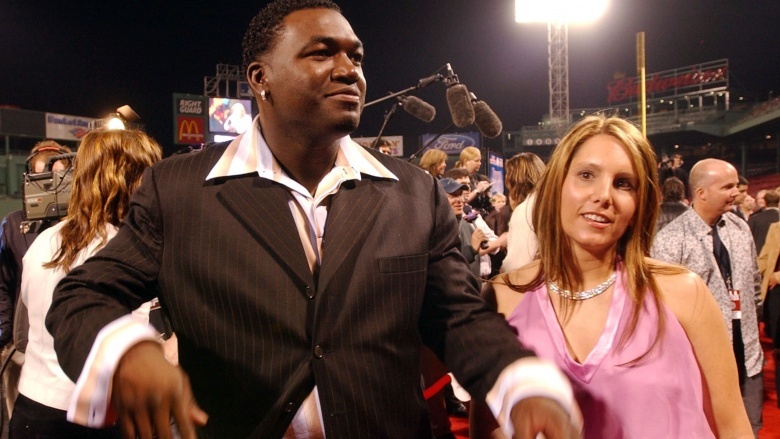 Here's a look at the strange, true story behind the legend of David Ortiz. 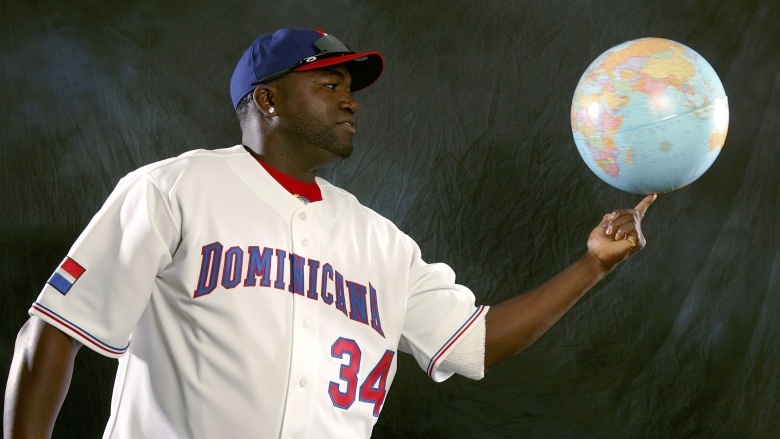 Ortiz comes by his love of baseball naturally, as his father, Enrique "Leo" Ortiz, was also a professional baseball player in the Dominican Republic. Unfortunately, while Leo was an excellent fielder, he couldn't hit worth a lick, dooming his chances of making the majors. Ironically, David is pretty much the exact opposite: he's a career Designated Hitter who rarely fields a position at all. David never got to see his dad play professional baseball, though; when David was born, Leo gave up his dream in order to find a steady job to support his family. You go, dad. 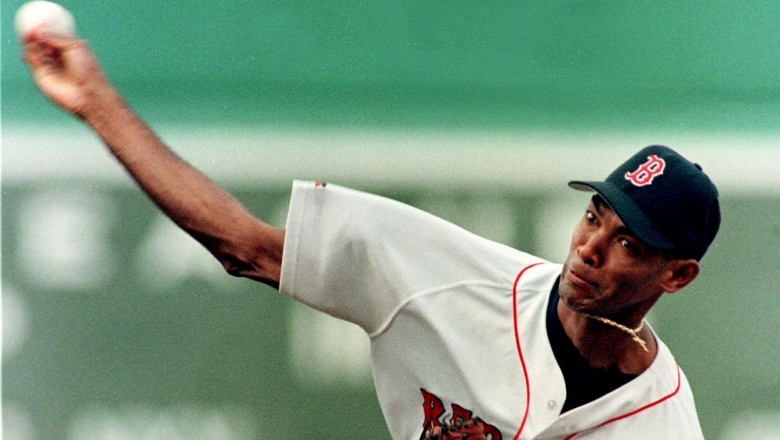 Ortiz might be just a few years younger than former teammate, pitcher Pedro Martinez, but when you're a kid, a few years can make a world of difference. Growing up in Santo Domingo, Ortiz idolized both Martinez and his older brother, Ramon Martinez, who became a national hero when he pitched in the 1984 Olympics at just 16 years old. 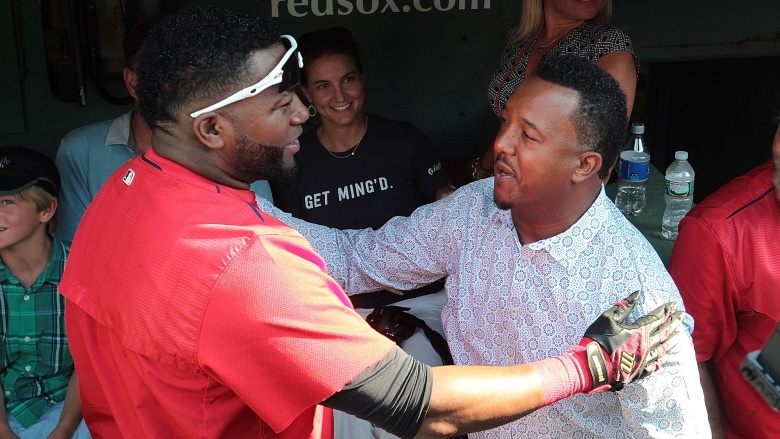 Ortiz, of course, would go on to become close friends with Pedro as both were members of the Red Sox. Too bad he joined the team two years too late to play alongside Ramon. 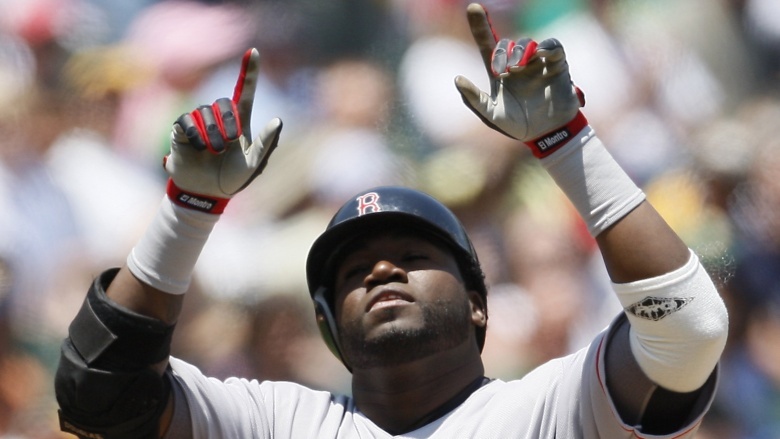 Most fans know that prior to joining the Red Sox, Ortiz played several seasons with the Minnesota Twins. But before that, he actually started his major league career with the Seattle Mariners. Signed by Seattle just days after his 17th birthday, Ortiz lit up their minor league farm system, both with his hitting and, surprisingly, with his fielding at first base as well. But the Mariners already had veteran starters entrenched at both first base and DH, so they threw Ortiz in as the mythical "player to be named later" in a deal with the Twins. What if, right? 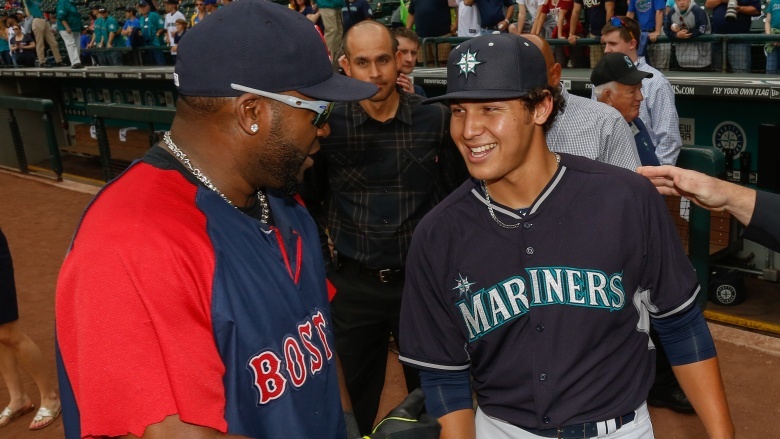 In his last year as a member of the Mariners organization, Ortiz played for the single-A Wisconsin Timber Rattlers. There he met the two big loves of his life: his future wife, Tiffany, and the Green Bay Packers. Yes, Green Bay is a heck of a long way from the Dominican Republic, but thanks to Tiffany's influence, Ortiz is actually a dyed-in-the-wool cheesehead. He and his wife are regular attendees at both Lambeau Field itself and area Packers parties. When Ortiz was traded from Seattle to Minnesota, he decided to mark his new direction in life by officially changing his name. Well, that's not exactly true…his legal name is the same as it has always been: David Américo Ortiz Arias. But while playing for the Mariners, he went by his maternal family name (Arias) rather than his paternal family name (Ortiz). 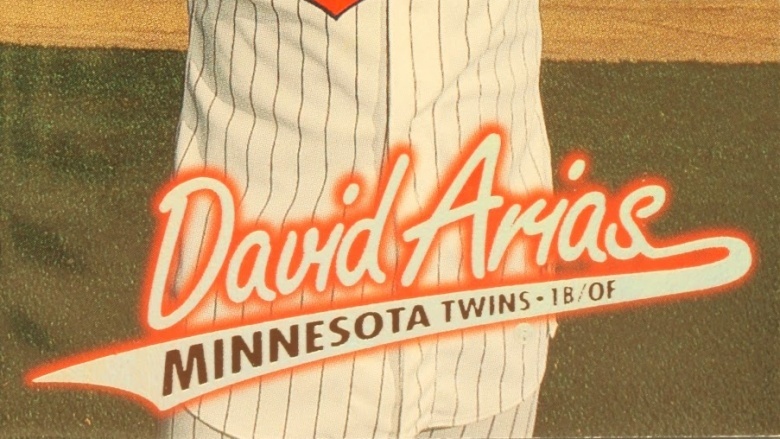 That's why his earliest baseball cards can be found under the name David Arias. With the Twins, he requested that the be called Ortiz instead, and it's stuck ever since. Ortiz may have decided to use his paternal name professionally, but it wasn't out of any disrespect to his mother. On the contrary, he was always very close to his mother Angela Rosa Arias. Tragically, though, she was killed in a car accident in 2002 just a year before the breakout campaign with the Boston Red Sox that made him an international superstar. He now honors her memory by pointing to the sky with both hands every time he hits a home run. And with over 500 career round trippers, he honors her very regularly. After an injury-plagued 2002 campaign with the Twins, Ortiz was up for contract renewal. And thanks to arbitration, he was also in line for a significant raise, nearly doubling his salary to a cool $2 million per year. That sounds like chump change for a player who is now regarded as one of the greatest clutch sluggers ever, but the cash-strapped Twins decided to cut Ortiz rather than pay him. That made him a free agent. Any team could have had him, but it was the Red Sox who ultimately signed him, even though they already had both a first baseman and a DH. Why? Because fellow Dominican Pedro Martinez, who Ortiz had watched as a kid, asked the team to take a chance. On Pedro's recommendation, they did. The rest is history. 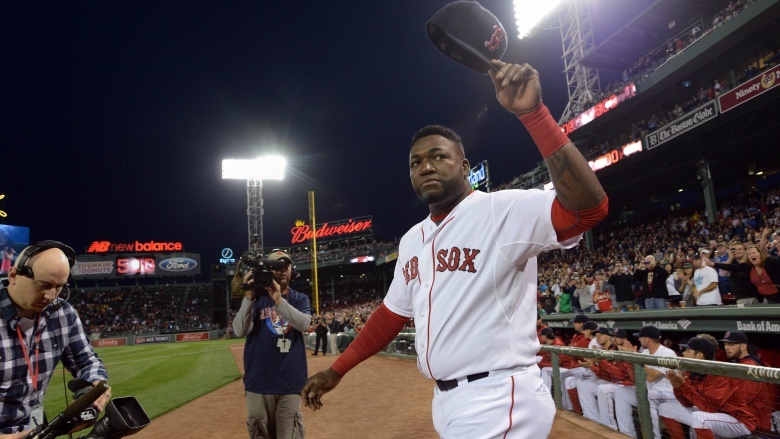 In 2009, the New York Times published an article citing anonymous sources who claimed Ortiz's name was on a 2004 list of players who had failed a drug test. Ortiz was quick to deny the allegations, but he was unable to fully defend himself in part because those test results were supposed to be secret—meaning that Ortiz himself wasn't even allowed to see them to find out what he had supposedly done. Both MLB and the player's union issued press releases stating that not everyone on the cited list had actually tested positive, if Ortiz was even on it. Ortiz's name has never been linked to any steroid use since, nor has any evidence ever been found linking him to performance enhancing drugs. Yet based on that single article and its "anonymous sources," many fans consider his legacy to be permanently tainted. Proof, anyone? Big Papi's run-ins with the New York Yankees have been the stuff of legend, but his biggest beef actually came with a very different Big Apple institution: Jay-Z himself. In 2010, Jay-Z filed a suit against Ortiz claiming trademark infringement over a nightclub Papi owned in the Dominican Republic called "Forty-Forty." 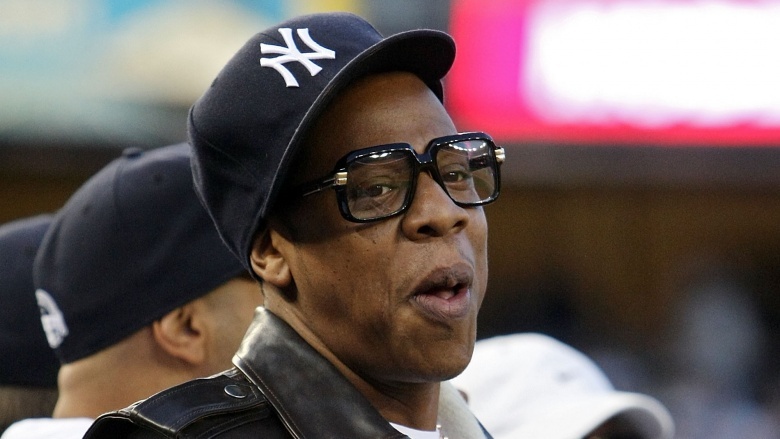 Turns out Jay-Z also has a place called "The 40/40 Club." In baseball terms, the 40-40 Club refers to players who have hit 40 homers and stolen 40 bases in the same year, making it a club to which neither the slow-footed Papi or Jay-Z have ever come close to belonging. That might be why they decided to settle out of court in 2011. So some people would tell you that Chicago White Sox star Frank Thomas was the first real DH to make the Hall of Fame. Others would site Milwaukee's Paul Molitor. But Molitor played less than half his games at DH, while Thomas started at first base for eight seasons before making the switch. Ortiz? He's played just 277 games at first compared to nearly 1,900 as a designated hitter. Despite the fact that the DH has been around for over 40 years, no full-time career DH has ever made the Hall of Fame. Even with the cloud cast over his legacy by those unsourced New York Times allegations, though, Ortiz may end up being the first. Three World Series titles, a World Series MVP, over 500 career home runs, and a reputation for being clutch are going to get Papi into the promised land.